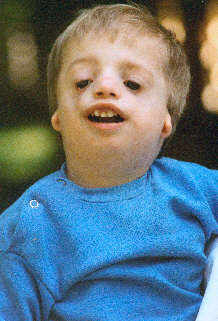 Treacher-Collins syndrome is a hereditary condition that causes craniofacial defects.Treacher-Collins syndrome is inherited as an autosomal dominant trait. More than half of all cases are thought to be new mutations because there is no family history of the disease. 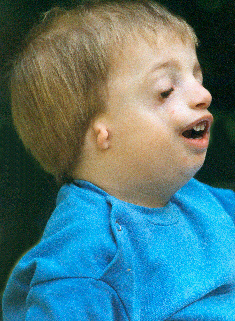 Treacher Collins Syndrome is believed to be caused by a defective gene, called treacle on chromosome 5, which affects facial development. This condition has variable expression, which means there may be a great variation in severity from generation to generation.